A jury in Sacramento Superior Court delivered a guilty verdict this morning in the trial of two Norteño gang members accused of two murders and attempted murder. David Javier Jaimes, 25, and Alex Martinez Camacho (pictured above), 23, were convicted in the 2013 murder of Gladis Quinteros and Enrique De La Cruz. The convictions included special circumstances for enhancements for discharging a firearm and committing crime for the benefit of a street gang. 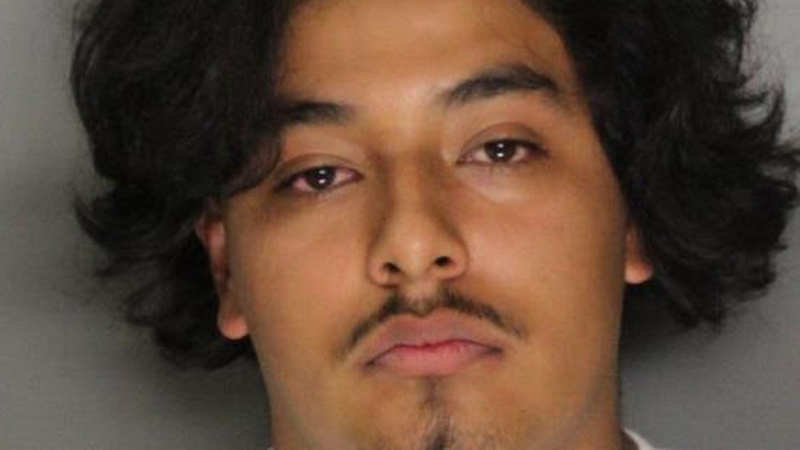 The conviction stemmed from May 21, 2013 shooting where Jaimes, Camacho, and other North Sacra Norteño (“NSN”) gang members were in a vehicle on Birdcage Street in Citrus Height and saw a rival Sureño gang member talking with another man and woman. Jaimes and Camacho left their vehicle, and shot the victims to death. Jaimes and Camacho were not identified as suspects until one month later when they were involved in another shooting. Camacho were again in a car with other gang members when they mistakenly believed they saw Sureño gang members in a truck and followed them. While stopped at the intersection of Arden Way and Morse Avenue, one of the gang members in the car opened fire on the truck, critically wounding the passenger. A nearby sheriff’s deputy heard the shots and pursued the suspect vehicle. During a high-speed chase, a handgun was thrown from the vehicle and was later recovered. An examination of the handgun revealed a connection to the murders on Birdcage Street. It was also linked to a series of shootings in Sacramento and Citrus Heights. Investigaorts were able to tie Jaimes and Camacho to several of those shootings. Jaimes and Camacho each face a maximum sentence of life without the possibility of parole plus an additional 180 years to life in prison. Sentencing will be on September 21, 2018 before Judge Maryanne Gilliard.